IRELAND- The deadline for entry to the Lincoln Recruitment Irish Early Career Awards in association with KBC Bank Ireland has been extended until the 30th of September. Enthusiastic young professionals from all industries stretching from marketing to finance and digital can still enter this year’s event which celebrates the most talented business minds in the country. Early Career Awards photocall held at the offices of the Department of Business, Enterprise, and Innovation with Minister Heather Humphreys. 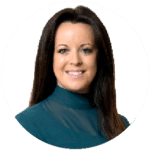 Judges include Shay Dalton, Managing Director, Lincoln Recruitment Specialists (Chairman of the Judging Panel), Marissa Carter, Founder & CEO, Cocoa Brown, Aidan Power, Director of Customer Brand and Marketing, KBC. With just 10 days to go until the closing date, workers are being urged to apply, nominate and sponsor the brightest young professionals in their workplace. The Irish Early Career Awards provides a platform and recognition for talented individuals and organisations and is one of the most established events of its kind in Ireland. The emphasis of this year’s ceremony is on skills and achievements and applicants and/or those nominations are invited to put those into writing and bring them to life. Short-listed applicants will then be invited to attend the prestigious black-tie Lincoln Recruitment Irish Early Career Awards which take place in the Round Room of the Mansion House on the 1st of November. 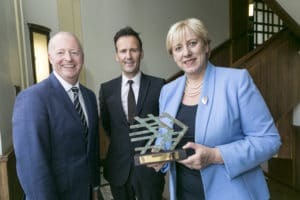 The Association of Compliance Officers in Ireland and The Institute of Banking understand the importance of nurturing and educating early career professionals and have joined RSM and Pathfinder as category sponsors in the awards.